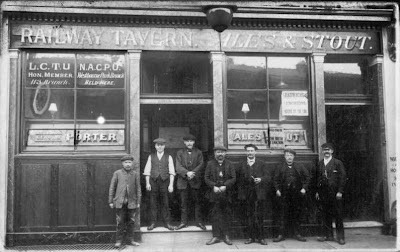 This photo is of the Railway Tavern, Hamilton Street, Deptford. John Hoare kindly gave permission to me to post. It was sent to him by Richard Menari. 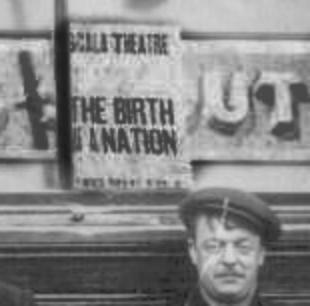 John thought the photo was taken in the 1880s, but having 'tweaked' the image he noticed the advertisement for the 1910 film 'Birth of a Nation' at the Scala Theatre! I carried out further research and found that the Scala Theater was one of a few venues allowed to loan the film in 1915. Unless the poster has been in the window for 5 years 1915 through 1916 looks about right. a Nation” was a big attraction in 1915. The landlord in the 1880s was Duncan Jenkins, who was thought to have been one of the gentlemen standing at the door. Mr. Jenkins bought the Railway Tavern some time after the 1881 census, and sold it in 1888. My thanks again to John Hoare and Richard Menari for allowing me to post the photos.